April News. 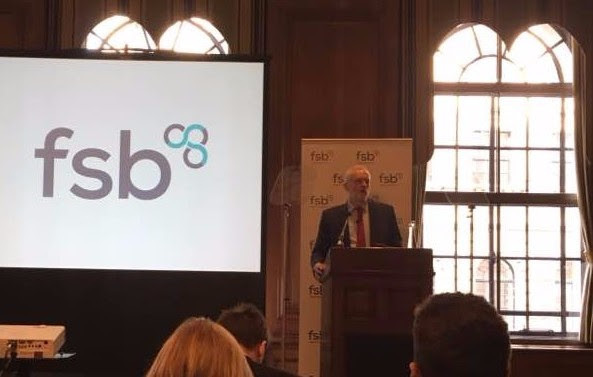 Jeremy Corbyn, business rates update, events and meetings! Prior to the announcement of the election now scheduled to take place on on 8 June 2017, the East End Trades Guild was invited by the Federation of Small Businesses to hear Jeremy Corbyn give a keynote speech to an audience of small businesses regarding Labour’s economic policy proposals thus far. 1. Fair taxation – Mr Corbyn announced ‘two cast iron pledges forged in Labour values’; any tax rises will fall most heavily on those with the broadest shoulders and will be a something for something deal. When asked for contributions, businesses will know what they’re getting in return. They will not raise the corporation tax for small businesses but will increase it for large companies in line with other major economies, using revenue to invest in skills. 2. Creating a level playing field – Big company’s are privileged with regards to taxes and use this to sidestep the rules. Small businesses can’t afford to pay thousands for tax avoidance. Labour will give HMRC more powers and resources and will scrap quarterly reporting for businesses with a turnover of less than 83k. £26 billion is owed to small businesses in late payments from large businesses such as M&S National Grid, EON and can be is much as 119 days over terms. Binding arbitration and fines for late payments will be introduced. Radical reform of business rates, in consultation with small businesses will be undertaken. 3. Best platform to succeed – Infrastructure and growth capital for digital, transport and energy. Labour will create a National Investment Bank with Regional Investment Banks for every region, looking at the existing Development Bank for Wales as a model. In addition, Corbyn said labour would expand and reform Employment Allowance for small businesses to accommodate a real living wage. And wants to work closely with the small businesses community to create policy that will work for you. The government has not yet given clarity about when and how all the changes announced in the budget on 8th March will be made and the election will definitely slow everything down. Thanks to our close relationship with the FSB we are able to obtain information as soon as there is any. For the £300 million fund for Local Authorities, the government consultation closed and London gets the lion’s share of the money. Waltham Forest is set for £1.9 million, Hackney £7.1 million, Tower Hamlets £8.1 million, City of London £9.49 million. It is now up to councils to design their own schemes and consult on them with local businesses. We are in the process of approaching councils on this. News on the new cap on business rates is expected next week. Check – First, the ratepayer formally checks the details of their assessment with the valuation officer (VO). This is the start of the process and sets what is called the “material day” by which the assessment is to be considered. This in turn affects the date from which any amendment to the assessment may be effective. Challenge – Once the check is concluded, a very detailed proposal may be made to the VO, setting out precise details and evidence to support the alteration. Appeal – Assuming the challenge concludes without the resolution desired by the ratepayer, the ratepayer may appeal to the Valuation Tribunal for England. There is a charge of £150 to take any appeal forward to this stage. The regulations confirm that the first two stages of the process could take up to 30 months. If you have not already done so, our advice is to use this tool only if you have seen a big hike in your rateable value and to log on and check your details with the VOA. This first stage should lay out all the information the VOA have on a property including size, comparable properties and other segmentation so you can see if there is an error before undertaking an appeal which may take a good deal of time, energy and money without yielding results. If you choose to employ a ratings agency or surveyor to make an appeal on your behalf be careful! 94% of all appeals on the 2010 list were made by someone acting on behalf of ratepayers. The VOA has a backlog of 250,000 cases from the 2010 ratings list. This suggests that any appeals won’t be dealt with, with any great haste and the industry has become so large a number of unprofessional and unscrupulous firms have shot up who take advantage of small businesses. If you use an agent to act on your behalf make sure they are RICS accredited. 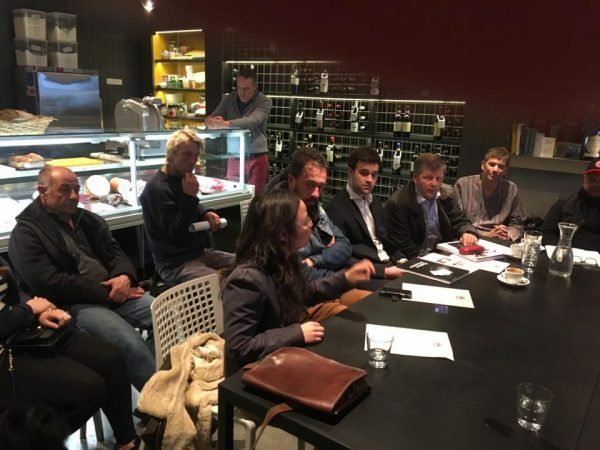 An advisory board is a body that provides non-binding strategic advice to the management of a corporation, organisation, or foundation. Our first Advisory Board meeting takes place today and one of our priorities will be to look at how we bring in investment to the Guild so that we can grow the business model. Shanaz Khan – Shanaz was our Acting Chair from 2012 to 2015 and has vital knowledge of the evolution of our Guild since its inception. Rosie Wolfenden MBE – another founding member, Rosie also has board experience as well as being an internationally recognised small business leader. Rosie is passionate about promoting entrepreneurship and creativity, especially in women. In 2013 Rosie was awarded an MBE for services to the fashion industry. Benedict Dellot – Benedict is Associate Director in the RSA’s Economy, Enterprise and Manufacturing team. His research covers topics such as self-employment, micro businesses, the maker movement, the future of manufacturing, and capital and ownership in the 21st century. Sue Terpilowski – Sue is the Chairman of the Federation of Small Businesses London Policy Unit and is also Vice Chairman of the London Region. She is also a member of the FSB’s UK Policy Committee and sits on its Local Government sub group. Sue is a board member of the London Business Network. She was awarded the OBE in June 2014 for lobbying and working on behalf of the micro and small businesses in London to make sure they have a level playing field as possible. Rachel Laurence – Rachel is Principal Director, Communities & Localities at the New Economics Foundation. Rachel’s focus area include community economic development policy and practice, as well as regional political economy and strategy. We held a fantastic brainstorm for upcoming events. Members will be informed of the details and how they can be involved soon. 17th May – Makers Social! 6.30pm Ill Cudega. Railway Arch 358, Westgate St, London E8 3RN. Meet your fellow makers and manufacturers and enjoy the fine produce of Il Cudega! This venue is fully wheelchair accessible. Click here to book your place. This event is the first sector specific activity the Guild is undertaking, and we’re excited to announce two thought leaders from the industry in London – Liz Corbin and Mark Brearley confirmed as guest speakers! At the EETG we are extremely proud to boast some truly extraordinary makers and manufacturers from one woman bands working from home to makespaces, all the way to small bespoke factories. So importantly will also hear directly from our manufacturing and making attendees, to learn from you about the direction of collective action you would like to take as part of our Guild community. July – Members Assembly. Time for a knees up to celebrate everything we achieved since the crowdfunding campaign last year! Date and time TBC. Further dates to be announced soon. Guild Reps – This year we will put in place a system of representation to make sure that our members have the opportunity to have their voices heard by decision makers and the wider community. We will present ideas for how this will work and workshop them with you in June. 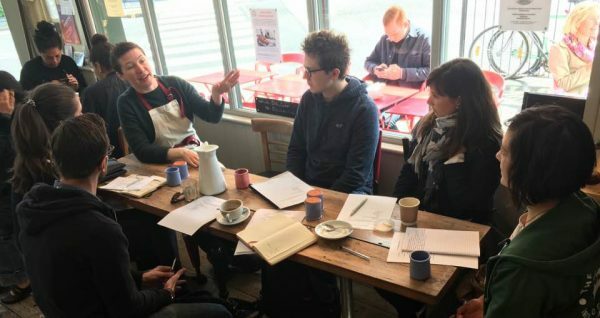 In the meantime, if you are interested to become one of our representatives please email krissie@eastendtradesguild.org.uk and we will support you to apply for this high quality media training from our partners at the New Economics Foundation. Spitalfields Neighbourhood Plan – We will be putting the Spitalfields Forum in touch with our members in this area who are doing some listening to shape the future direction of the Spitalfields Neighbourhood Plan. 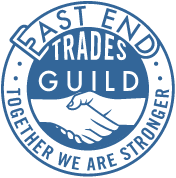 If you would prefer not to be contacted please email: krissie@eastendtradesguild.org.uk. March News. Meeting TH Mayor John Biggs. Walthamstow Listening + more! May News! Bastille Day Summer Social + More!